The Odessa Public Library is offering new e-book capabilities by making available both a Kindle Paperwhite and a Nook e-reader to its patrons for checkout. 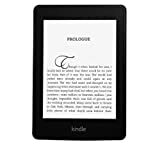 The e-readers are both downloaded with several books that incorporate both fiction, mysteries and non-fiction titles so there are choices depending on the patrons favorite genre. 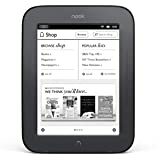 See the titles for both the Nook and the Kindle Paperwhite. The printed word has never been so modern! Read an eBook Week is a world wide effort to help educate and inform the public about the pleasures and advantages of reading an eBook, and your local library can help! We are now offering a fantastic service, the Washington Anytime Library through Overdrive (https://anytime.overdrive.com), where you can checkout, download, and read many kinds of electronic literature with just your library card and the ereading device of your choosing (nook, kindle, laptop, tablet, etc). Library staff are available to help you get started! Are you interested in ebooks, but don’t know where to start? We also offer lendable Barnes & Noble Nooks and Kindle Paperwhite, where you can demo a device for 14 days and get a physical experience with an eReader device. Our eReaders each come with a pre-loaded selection of titles. Please talk to library staff if you’re interested.